There’s Something Magical About Quilts Tucked Around the House! Quilters not only enjoy the satisfaction of creating wonderful quilts, they also tend to accumulate them. 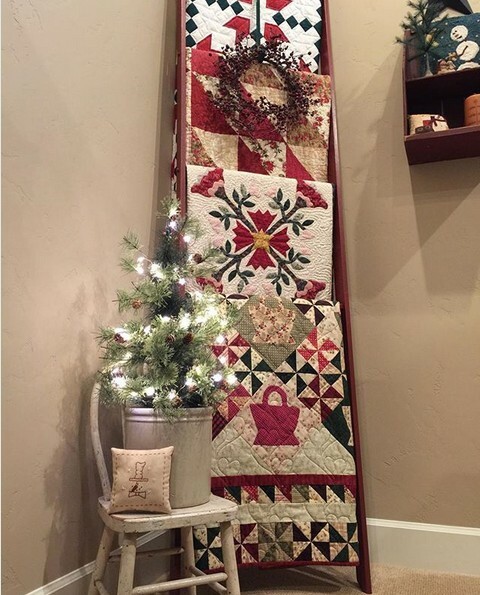 It’s fun to go through your quilts at holiday time and pull out a few to show off as part of your seasonal decor. In fact, quilts are one of the fastest ways to transform your home for the holidays. Not only are they beautiful, they quickly warm a home with holiday cheer. 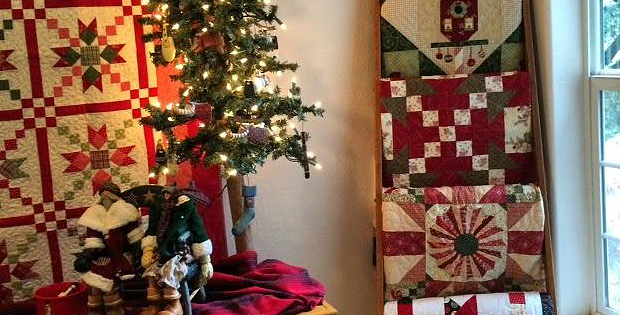 Just about any quilt with red (or green) can be displayed around the home for the holidays. Hang them on walls, display them on a quilt ladder, roll them up in baskets and more. You’re limited only by your space and imagination. 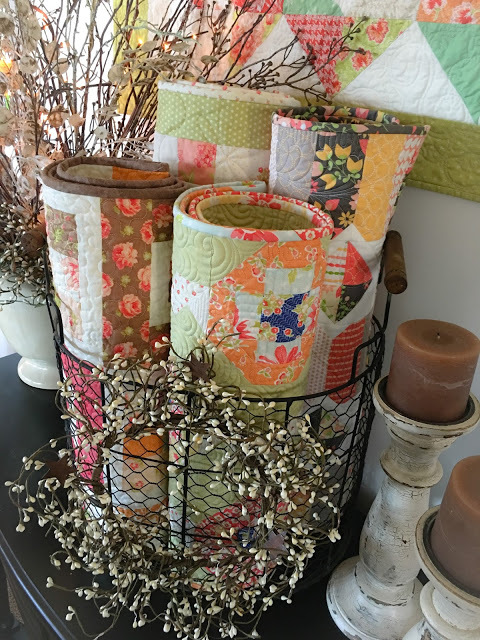 You’ll find a lot of creative ideas for displaying quilts for the holidays (or any time) in the following article by Tina for Martingale. Click here for the “Quick Christmas decorating: part I” article. Quilts aren’t just for beds or for the holidays. They’re warm and welcoming in any setting and at any time of year. Use that to advantage and make your home even more charming by displaying quilts all year long. The following article by Taunja Kelvington from Carried Away Quilting shows several creative ways that she displays quilts throughout the year. Click here for the “Decorating with Quilts” article. If space is limited, or you don’t go in for a lot of decorating, choose a spot or two to display a quilt and switch the quilt out every season. A wall, the back of the sofa and throw pillows tucked into chairs come to mind as easy ways to show off your creations and enjoy their warmth and charm. Learn how to make a quilt ladder here. Here’s a simple way to hang small quilts. This method for hanging large quilts does not require a sleeve. Image Source: The photo at the top of the page was found on Pinterest.